Opencart calibar to show photo gallery from an Instagram detail. Your photos will be displayed as a gallery with grid design and pop-up when clicking on it. Besides, it comes with two Instagram styles for your OpenCart website. 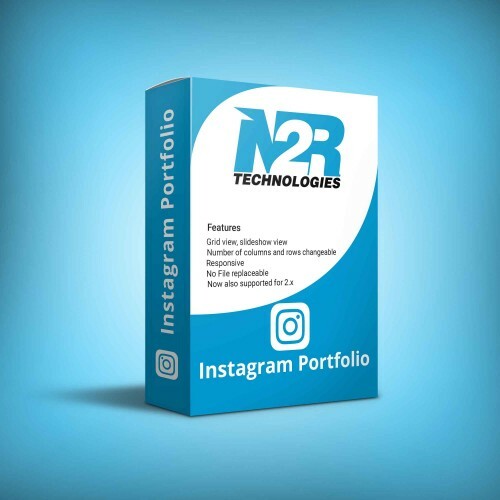 This modules shows instagram feed by using widget. Our experts team of Hire OpenCart developer have team of innovative Opencart free extensions developers as well as Opencart themes developer who have years of experience to supply you an attractive design for your online business identity. Opencart Development services is our devotion towards fulfillment and compelling desire to serve our customers to their ultimate satisfaction.